20' wide tents are Guaranteed to be Sparkling White & Clean. Includes complete professional installation and dismantle. These tents are offered in a variety of lengths. 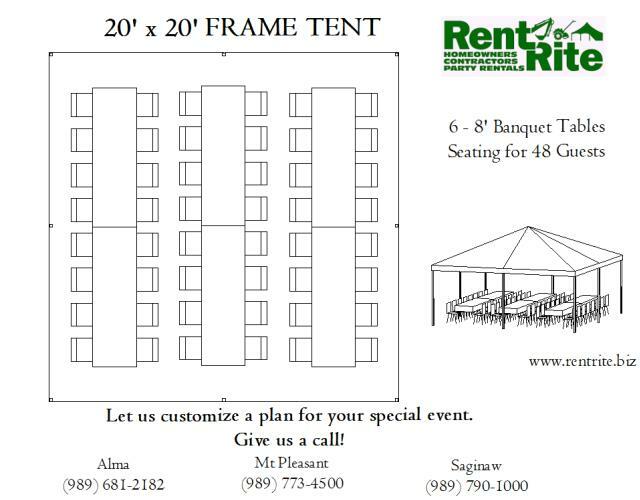 Call or email any Rent Rite Certified Event Rental Specialist today for your ideal size. 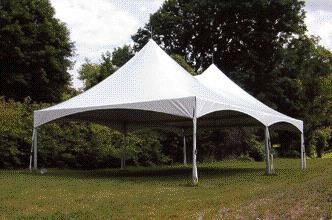 * Please call us for any questions on our 20 foot wide sparkling white frame tents rentals in Mount Pleasant MI, Alma MI, and Saginaw MI.